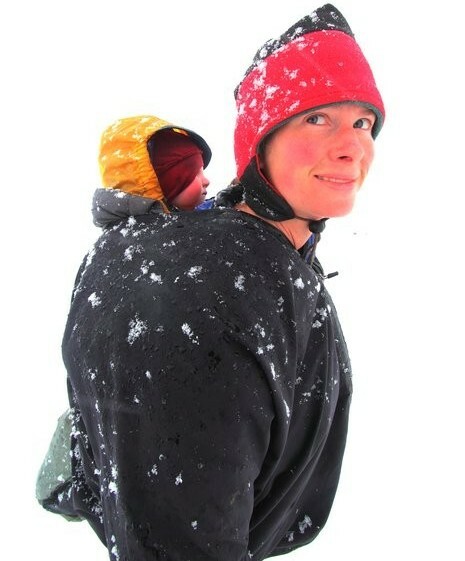 Erin McKittrick and her daughter, Lituya, in a snowstorm during the family’s trek to Malaspina Glacier. (Photo courtesy of Erin McKittrick). In 2007, Erin McKittrick and Hig Higman set out on an epic 4,000 mile trek from Seattle to the Aleutian islands. They traveled for a year by foot, raft, and skis, and McKittrick wrote about the experience in the book, “A long trek home.” Now, their family has expanded by two, with four-year-old Katmai and two-year-old Lituya. But the pair haven’t stopped adventuring. Instead, they’ve taken their young family with them — whether it’s a 300-mile trek along the Chukchi Sea or two months living on Southeast Alaska’s Malaspina Glacier. Listen to iFriendly audio here. Now McKittrick has written a second book, “Small Feet, Big Land,” about experiencing wild Alaska with a toddler in tow. The family stopped by Sitka last week, and KCAW’s Rachel Waldholz spoke with them about kids, climate change, and being a good parent in grizzly bear territory. PreviousBig Japan quake no threat to coastal Alaska, B.C.